Mad Dorifftooooo - Miata Turbo Forum - Boost cars, acquire cats. Recently took my car out for her first track day! I'd say it went fairly well. 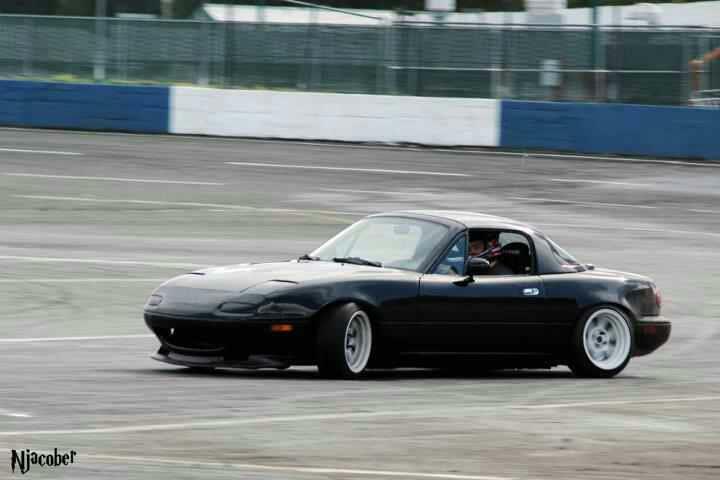 A few mods are coilovers, rollcage, strut bar, kaaz 1.5 way differential, and hardtop. Fun fun fun! Something not relevant to buttsecks. cage has removable door bars or fixed? I didn't know a hardtop was a mod. Is skid racing a mod too? Actually, they are more of a strut than a shock. Strut sits inside a coil spring and is held together by a strut mount. If there is an upper control arm, its not a "strut". Just because its coil-over-damper, doesnt mean its a strut. It's not a McPherson strut. Just like drifting isn't accepted here...or is it? what's with the lift kit on the drift car?